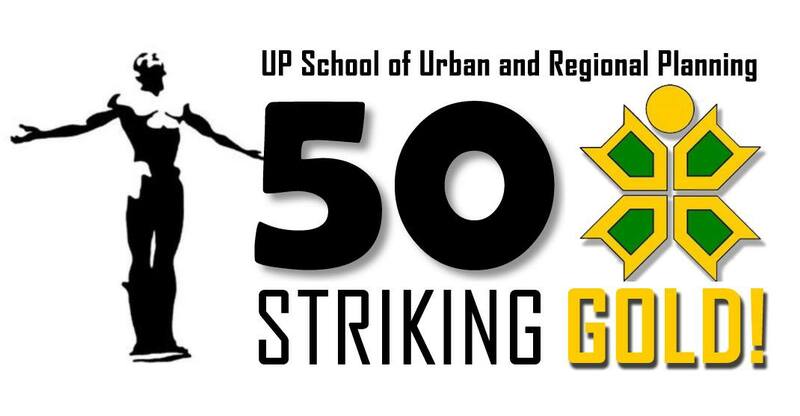 As part of the celebration of the School’s Golden Anniversary, the UP School of Urban and Regional Planning is holding monthly public lectures which started in January and will run until December 2015. The public lecture series provides a venue for discussing contemporary issues in urban and regional planning education and practices. 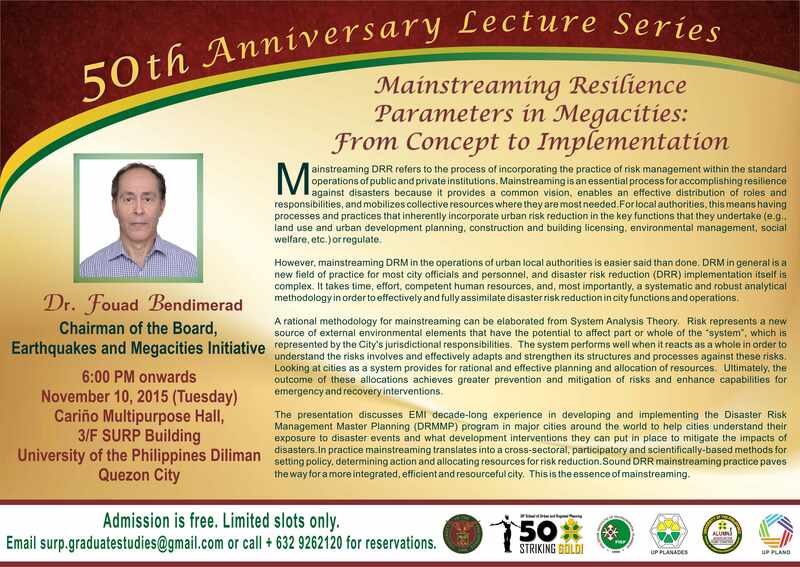 Our upcoming lecture will be on “Mainstreaming Resilience Parameters in Megacities: From Concept to Implementation” to be delivered by Dr. Fouad Bendimerad, Chairman of the Board of EMI (the Earthquakes and Megacities Initiative) a not-for-profit international scientific organization based in the Philippines. 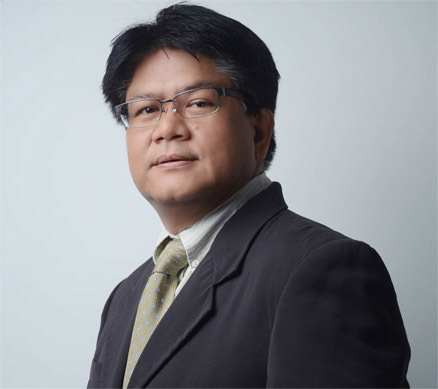 His lecture will be held on 10 November 2015 (Tuesday) at 6:00 P.M., at the Cariño Multi-Purpose Hall, SURP Bldg., UP Diliman, Quezon City. Admission is free. Slots are limited. Email surp.graduatestudies@gmail.com or call +632 9262120 to reserve.